Really? I can't find the post you're talking about. I'd looove to see Molly's take on fiddleheads, though. The woman is a genius. Yummy pasta... Fiddleheads? I've not heard of those before... funny name! I like your pictures of different plants and flowers. I have been getting heavily into my gardening these past few weeks and your pictures are great! 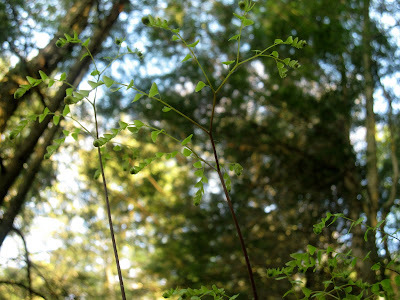 Fancy Elastic-- Fiddleheads are actually baby ferns. Some grocery stores offer them for sale this time of year; however you can eat most wild kinds as well! Their flavor is sort of a cross between mushrooms and asparagus. Thanks Kristina for the comment on my blog! Cheers to you! You sound like a woman after my own heart! 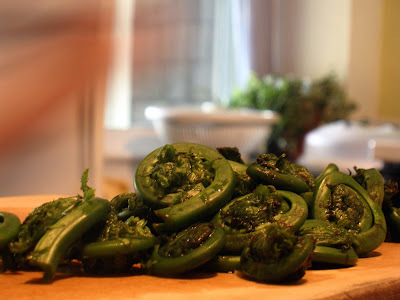 hah, Ive never heard of fiddleheads..Looks like little snails, but im sure tastes better. Thanks for the new ingredient!